We start this report, not with a mention of the athletes, but of the Officials. Not the weather for a Track & Field Meeting, that’s for sure, as these scenes from Blackpool yesterday testify. 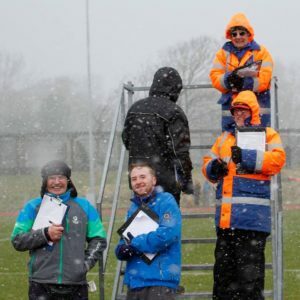 But this highlights once again, the invaluable contribution by the unpaid Officials who give up all their time, not just for a single event, or an hour or two, but the whole day, week after week, month after month, throughout the whole year. 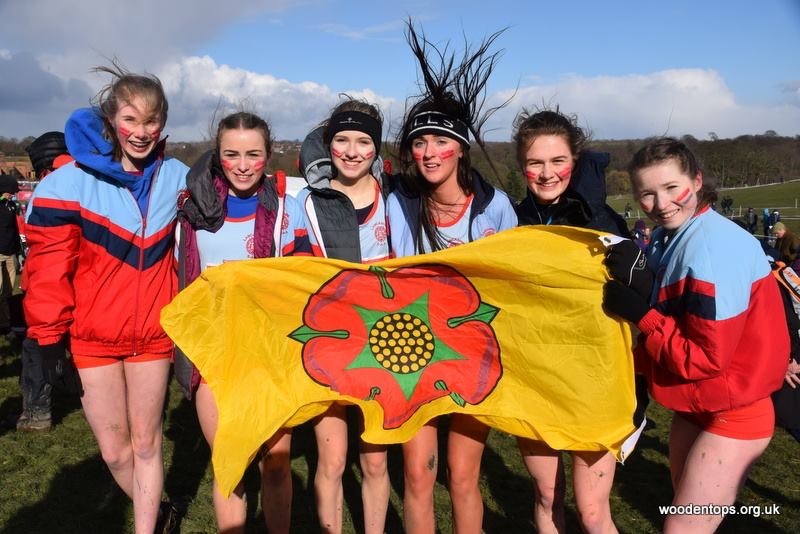 They can be found at the Track, on the Road, Cross Country and Fells, at Indoor Fixtures, County and Regional Championships and in some cases – National Championships. Without them we don’t have competition. For anyone who wants to make a contribution to this most important of roles – DON’T HESITATE – contact the Club and get involved in officiating. It gets warmer from here on in!! The weather didn’t seem to deter Anthony Kent as he threw a new PB and new Club Record for the U20 Men’s Shot (6kg), winning the event with a throw of 11.81m, backing that up by winning the U20 Discus (1.75kg) with a throw of 36.65m for a great start to his season. Anthony is one of a number of throwers coached by Jim Kerrigan and he wasn’t the only one who has improved after this winters training. 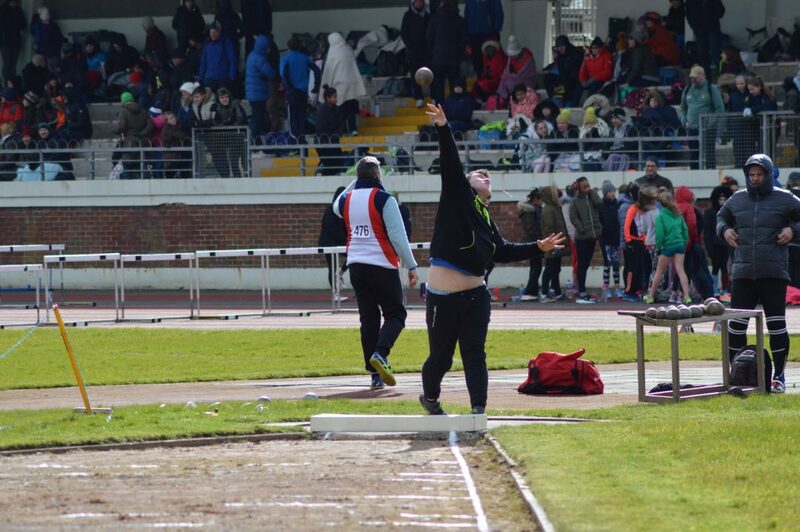 U15 Matthew Heywood set a new PB in the Shot (4kg) with 8.30m well over half a metre improvement, took 2nd in the Discus with 20.60m before going on to add 9m to his previous personal best in the Hammer, winning the event with a massive new PB of 32.19m. U15 Kyle Taylor-Pomfret has been doing some training for the Hammer with Coach Mick Hitchon and this has paid off as Kyle set a new PB of 22.65m in the Hammer (4kg), adding six metres to his previous best. 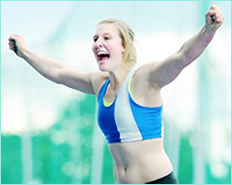 Nicky Saunders opened her early season with a 2nd in the Discus (1k) of 23.48m and 4th in the Hammer with a throw of 19.34m. Tony Balko, last seen under a blanket trying to keep warm came 4th in the Senior Men’s Shot (9.11m) and 4th in the Hammer with 31.92m. 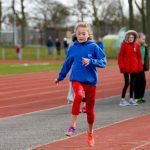 U11 Madison Bontoft tried her arm at the Shot Putt (2.72kg) throwing 4.85m to finish 8th which was a new PB by over 20cm. 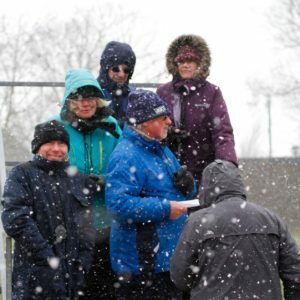 In the prevailing weather conditions on the day, it is a wonder that anyone managed to perform at their best in the Field or Track events and yet they did. 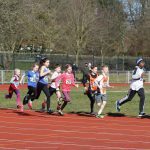 Many of the youngsters were competing in their first ever track and field events, so all credit to them for persevering with the weather. 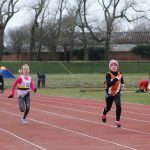 U11 Matthew Smith had a cracking day winning the 80m in a time of 12.6, placing 3rd in the 600m (1.59.5) and then took 2nd spot in the Long Jump out of 20 competing with a leap of 3.79m. 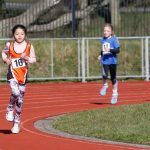 Felix Thompson also ran the U11 Boys 600m clocking 2.23.2 in 17th place. 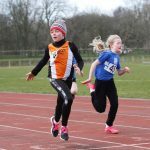 Imogen Robinson took on three events placing 2nd in the U11 Girls 80m (13.9), 7th in the 600m with a time of 2.23.7 and 8th out of twenty one in the Long Jump with a jump of 3.00m. Brooke Szatkowski placed 3rd in the 80m with 14.6 and 11th in them Long Jump (2.83m) whilst Alesha Hindle ran a time of 16.0 in the 80m (5th) and jumped 2.06m in the Long Jump (20th). 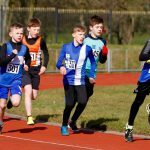 In other Sprint races U13 Aidan Downes ran 16.3 in the U13 Boys 100m. 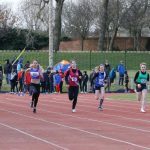 U17 Bailey Madden won her Heat of the 100m in 13.1 – the fastest time of all three Heats, with Millie Coy winning her Heat in a time of 13.3. 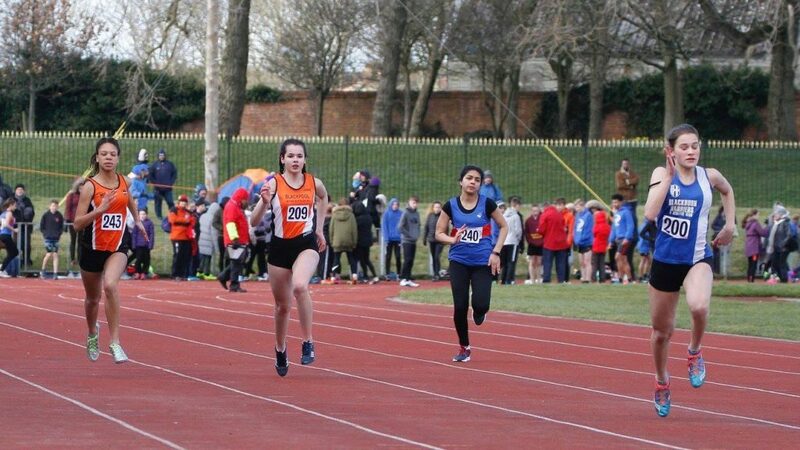 Abigail Stratton (U15) placed 7th in her Heat of the 100m (15.9) with Hannah Eccles taking 6th in her 200m Heat in a time of 33.8. 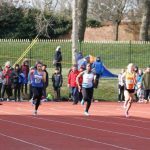 Charlie Coy won the Senior Women’s 100m in 15.00 whilst Ross Liddle finished 2nd in the Senior Men’s Heat (1) 100m in a time of 11.9, the same time as the winner. Dominic Bretherton contested Heat (2) winning in a time of 11.8 with Daniel Hamilton in 5th place (13.3). A special mention to Huzaifa Hanif who ran 61.8 for 3rd spot in the Senior Men’s 400m. 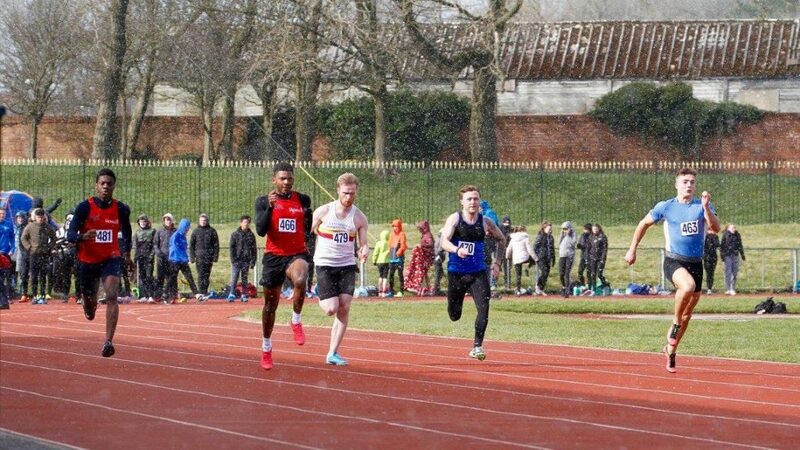 Huzaifa hasn’t raced since 2015 when he had set a then personal best time of 54.5 for the 400m. In the last three years he has had a number of surgeries and rehab programmes to deal with and has always maintained that he would be back. All credit to this young man and no doubt he will now push on to hopefully realise his full potential over the one lap event. 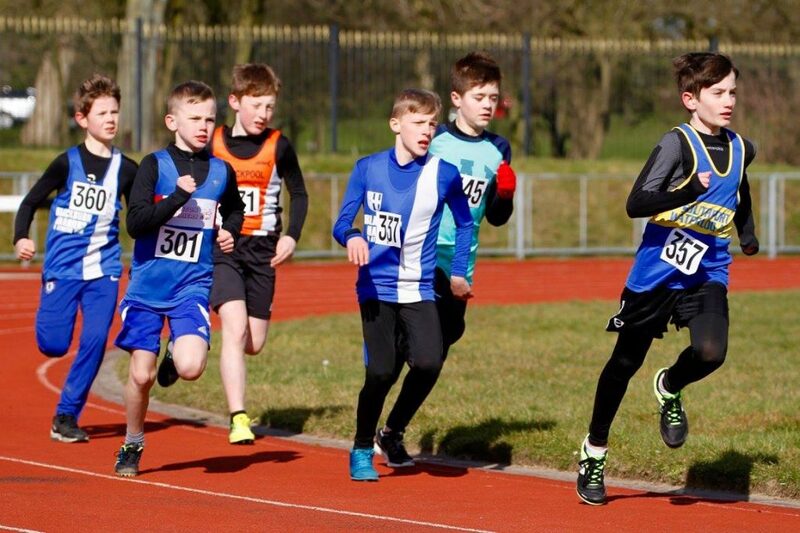 Ben Stratton started his season well finishing 2nd in the U13 Boys 1200m in a time of 4.13.0, his first time over the distance. 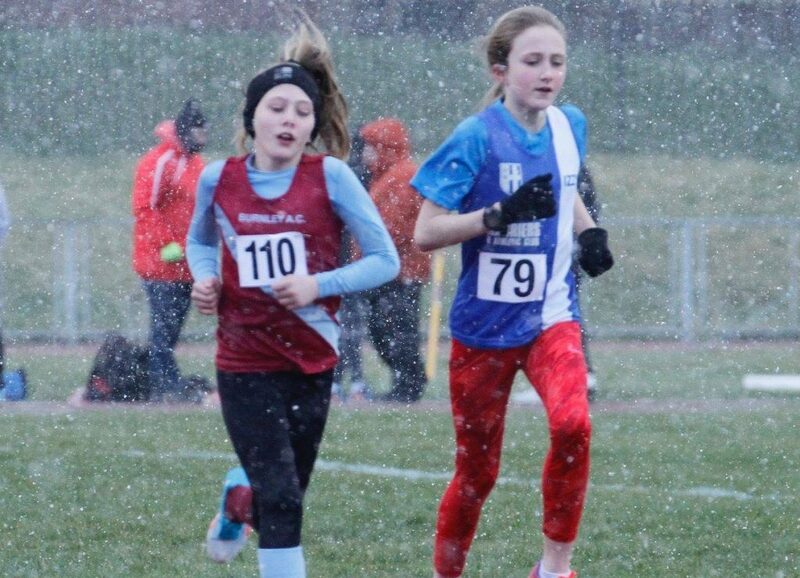 U13 Girls Keira Haxton (4.39.2) and Isabelle Hartley (4.54.9) went in the 1200m race placing 3rd and 6th respectively whilst Codie Dewhust (a new PB of 1.59.7) and Harry Sambrook (2.05.0) contested the U13 Boys 600m placing 3rd and 6th too. Codie’s run was exceptional and proved once again, the benefit of cross country which helps build aerobic endurance, as he knocked a massive thirteen seconds off his previous best time. 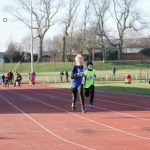 Another example of this was the run of Hayden Mercer in the U15 Boys 800m which he won in a new PB time of 2.21.9, cutting three seconds off his previous best. 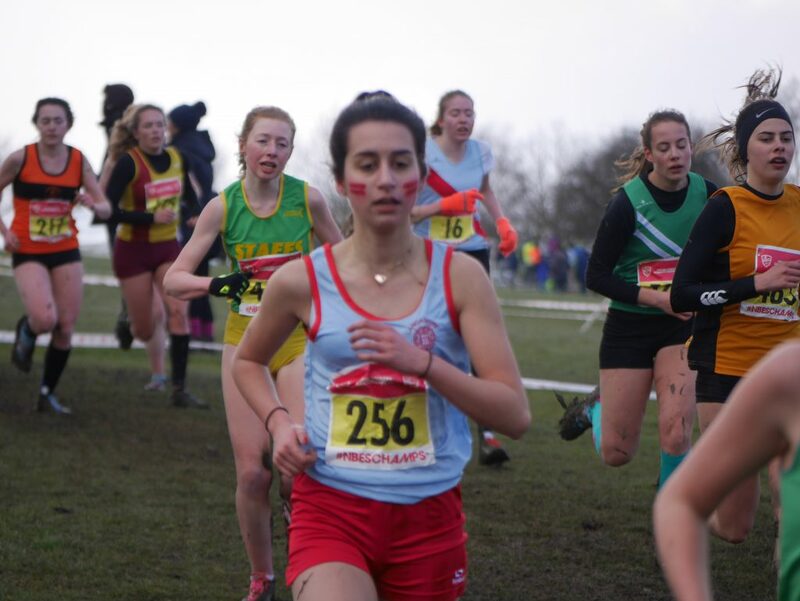 Sophie Stanworth too, was another young athlete starting off well and benefiting from the cross country season as she won the U15 Girls 800m in a time of 2.31.8 which also saw Ellie Singleton place 7th in 2.57.4 and sister Paige Singleton 8th in 3.01.2. 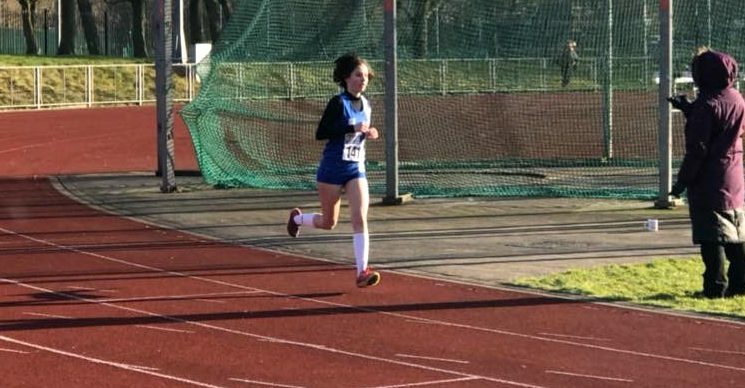 In the other middle distance events, Kyle Taylor-Pomfret came 2nd in the U15 Boys 1500m (5.17.3) – Isabel Hartley ran a time of 5.35.4 in the U17 Women’s 100m – Abigail Stratton came 2nd in the U15 Girls 1500m in a time of 5.40.3 with Hannah Eccles setting a new PB by eight seconds placing 5th in 5.50.5. In the Hurdles Jasmine Schofield came 4th in the U13 Girls Heat (1) 70m Hurdles posting a time of 14.5 with Isabelle Hartley 6th in 15.8 and Kady Thompson 6th in 17.0 (Heat 2). 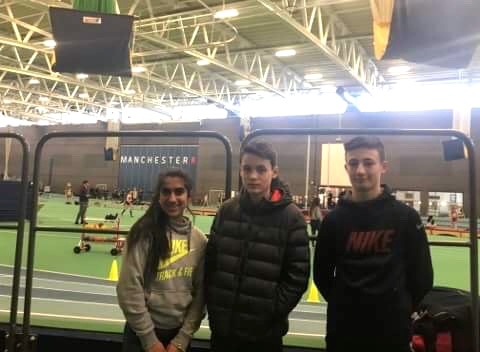 Codie Dewhurst took 2nd spot in the U13 Boys 75m Hurdles in a time of 17.6 whilst Myah Booth won the U15 Girls 80m Hurdles clocking 12.4. 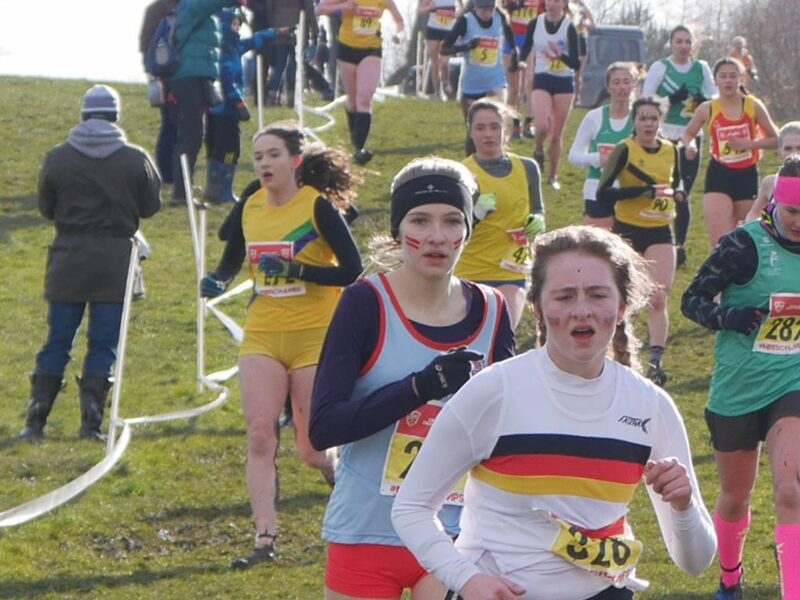 As always, there were massive fields in the Long Jump which saw Niamh Gater place 17th out of 28 in the U13 Girls Long Jump (3.00m) and Keira Haxton 28th (2.09m). 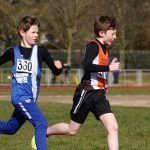 Harrison Allcock came 10th out of eighteen in the U13 Boys Long Jump (3.35m) with Aidan Downes 14th (3.04m) and Codie Dewhurst 17th (2.94m). Liberty Thompson cleared 1.30m in the High Jump to take 2nd place with Abigail Stratton clearing 1.20m for 6th place in the U15 Girls event. 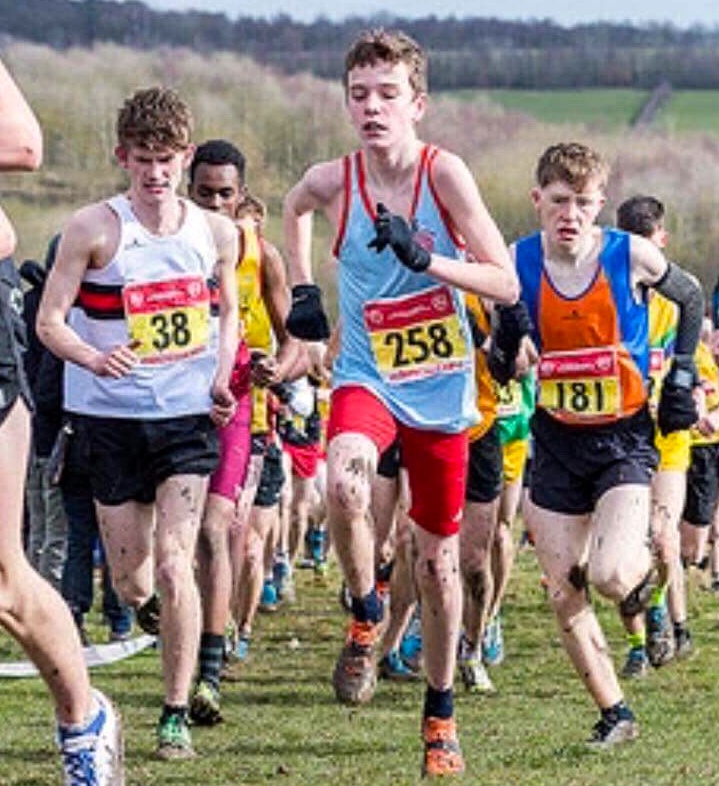 The English Schools had a number of Blackburn Harriers athletes qualifying to run for Lancashire, the highest placed being the Intermediate Boys team who finished 3rd out of the forty four counties competing. 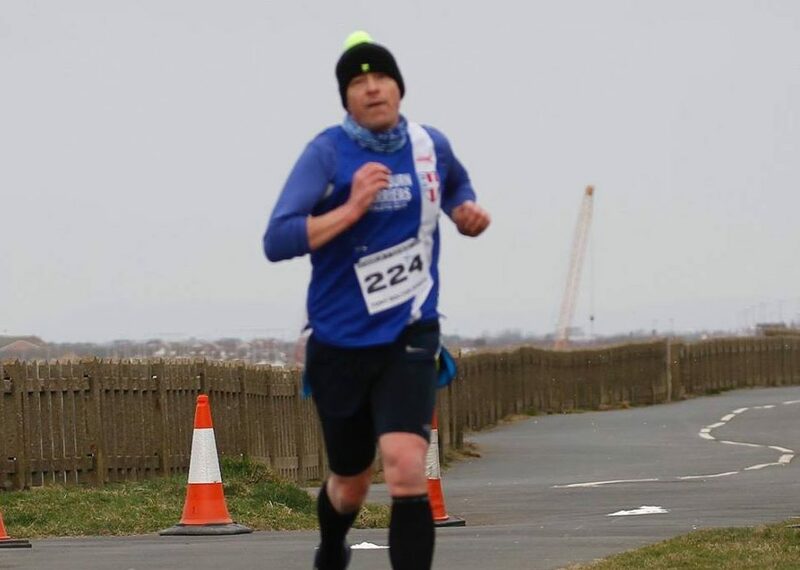 Two Blackburn Harriers ran in the team which saw Matt Ramsden come home as 4th counter (six to count for the team) in 42nd overall in a time of 18.47. Sam Hodkinson finished 124th overall clocking a time of 19.38. 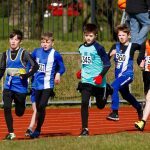 The Junior Boys came 11th overall out of the forty five teams with Harvey Ashworth from the Harriers placing 243rd out of 346 runners in a time of 16.21. The Senior Boys came home 14th overall and the Junior Girls 22nd. 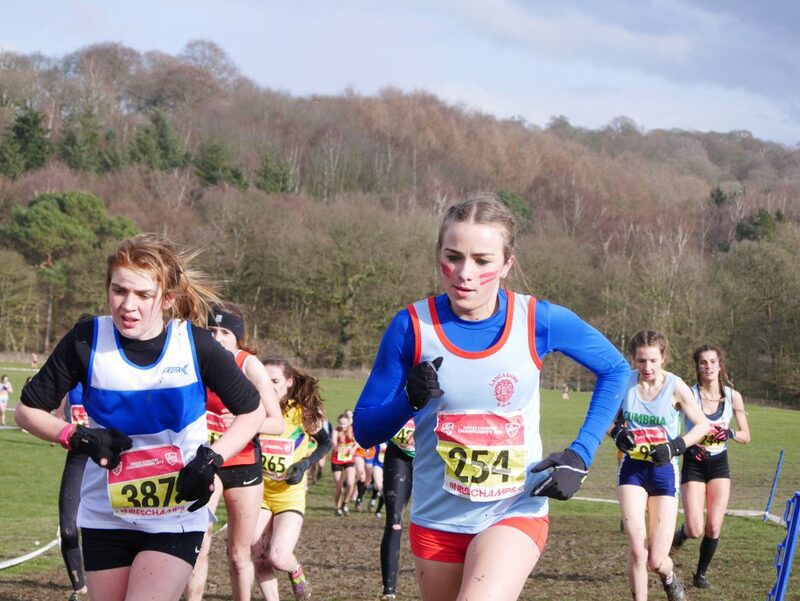 In the Intermediate Girls Lancashire came in 33rd with Blackburn Harrier Amy Davies finishing 122nd overall in a time of 15.42 and first counter for the team. 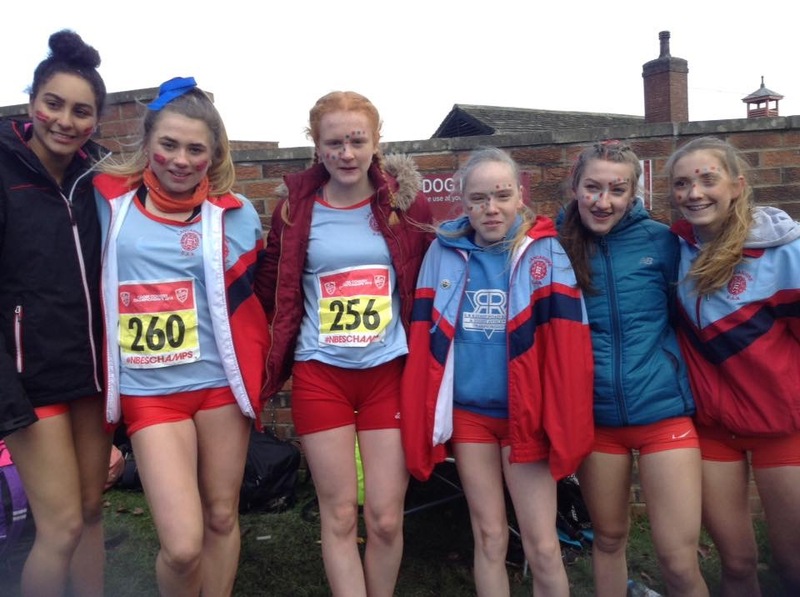 The Senior Girls Lancashire team came home in 20th place which saw Maddie Elliott from the Harriers take 2nd counting place in 81st place (17.51) with Harriers Hannah Cookson in 217th (19.29) and Freya Black 297th in 21.35 both counting for the team in 5th and 6th places respectively. Over three thousand runners took part in this Race, now in its fourth year, the latest being won by Kojo Kyereme in a time of 72.05. 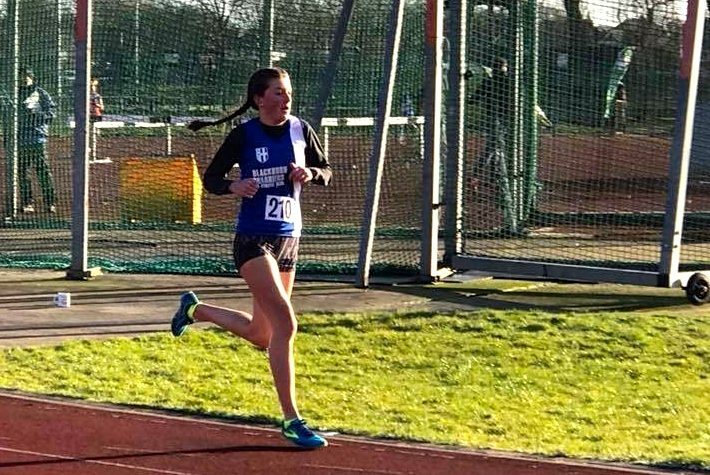 Rachel Wood came home in 33rd place clocking a time of 85.47 to taken 2nd in the Women’s Race, just 37 seconds behind the winner Lucy Niemz and pointing to a good time for Rachel in the London Marathon this year. 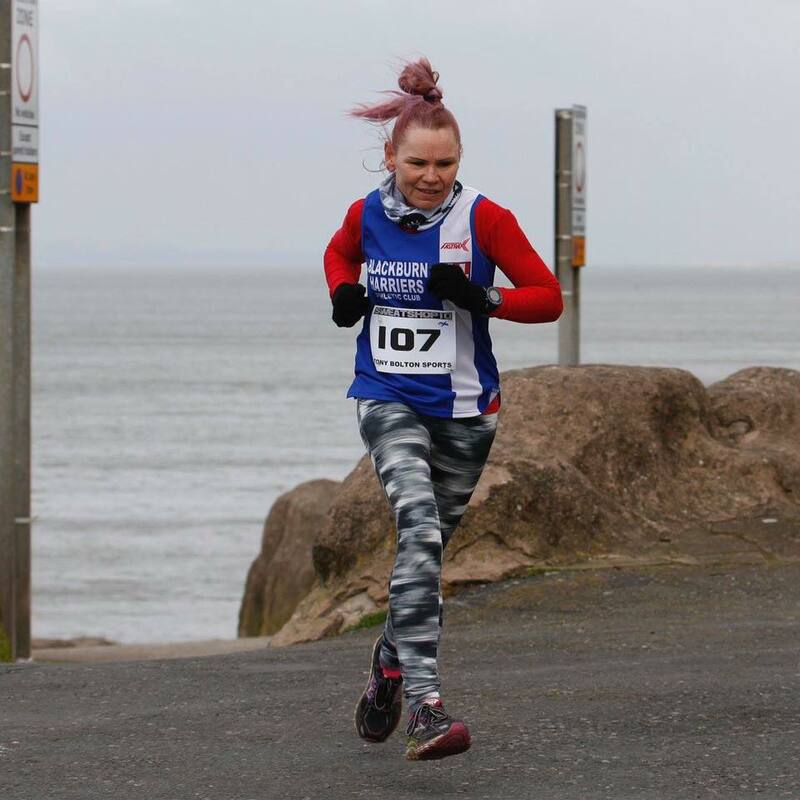 Where do you want to be in freezing temperatures and driving winds – a 10 mile race next to the sea? 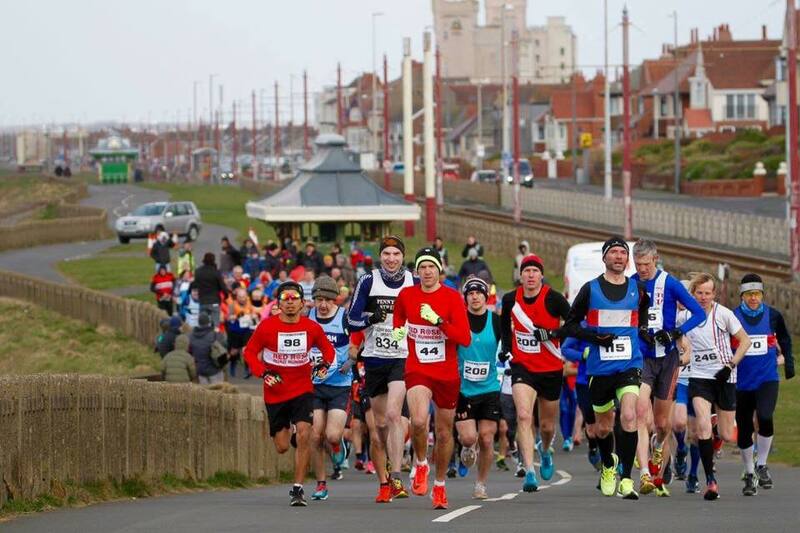 One hundred and fifty nine runners braved the conditions at the Bispham 10 on Sunday won by Rob Affleck in 56.21. Four Blackburn Harriers took part with Chris Davies taking 3rd spot overall in a time of 57.12, adding 1st V40 to his prize list as well as the Gold Medal in the Northern Vets Championships. Next home for the Harriers came Daniel Whittaker in 17th overall posting a time of 68.40 and 4th V40. 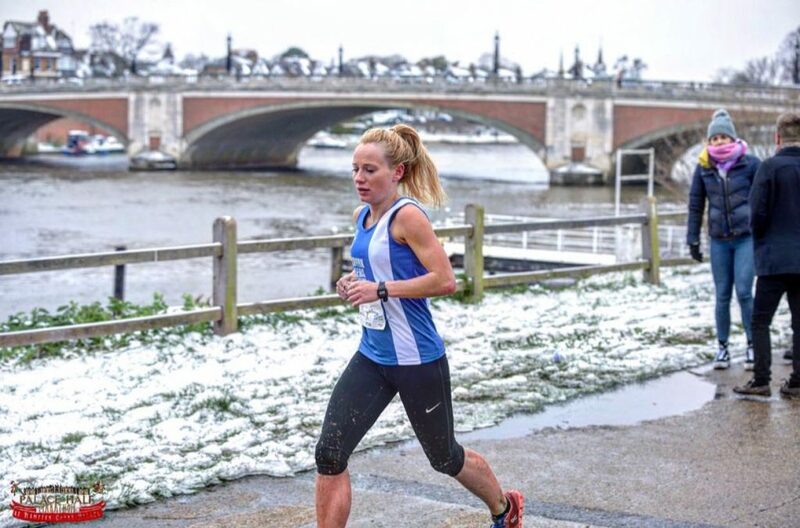 Lindsay Davies finished in 46th place and 2nd V45 Woman with a time of 77.18 and she was followed home by Paul Wilkinson (V45) in 67th place with a time of 81.23. 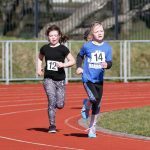 Five Harriers went over to Sportscity for the last in this years Indoor Series, all concentrating on the 60m and 60m Hurdles. In the 60m bottom of age U20 Nick Massey finished 3rd in a time of 7.90 with U17 Solomon Brown coming home in 3rd in the U17 Race clocking 7.86. 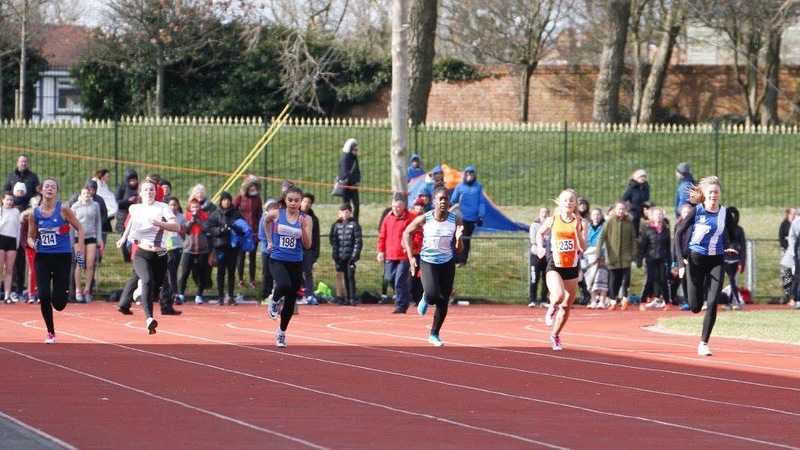 U23 Morgan Angland ran 8.37 when finishing 2nd in her 60m race whilst Aysha Karolia set a new PB for the Indoor 60m, placing 2nd in a time of 8.96. In the 60m Hurdles, Morgan took 2nd spot in 9.70 and Ben Boocock also finished 2nd in the U15 Boys race with a time of 10.09. This Race went ahead, against expectations with over five hundred finishers, which was amazing given the weather and the fact that so many races had had to be cancelled.. 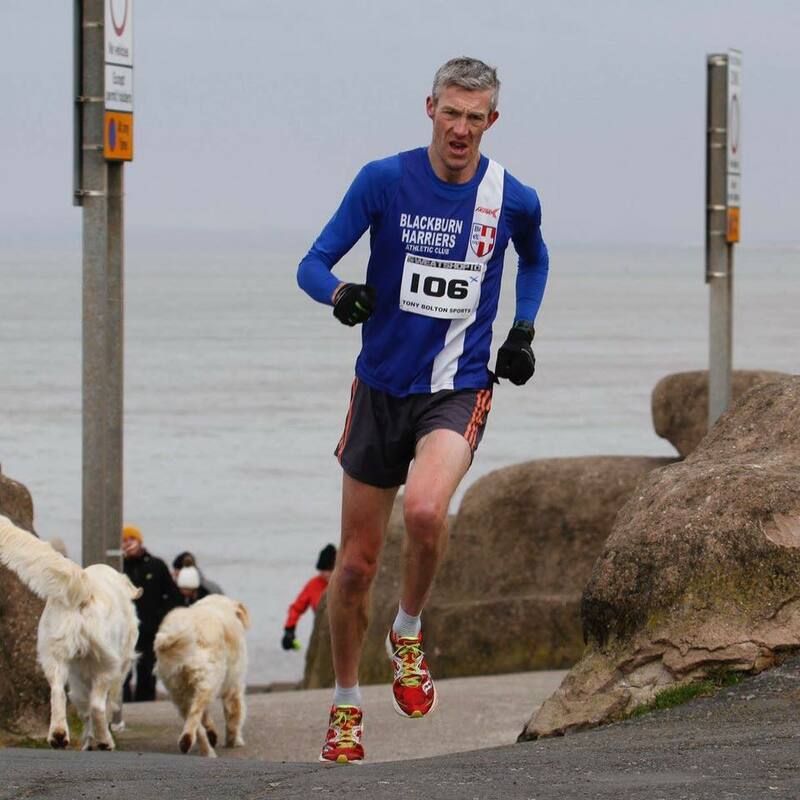 The race was won in a swiftish 1hr 55.47 by Martin Green in front of Blain Rooney in 2nd (1hr 56.07). 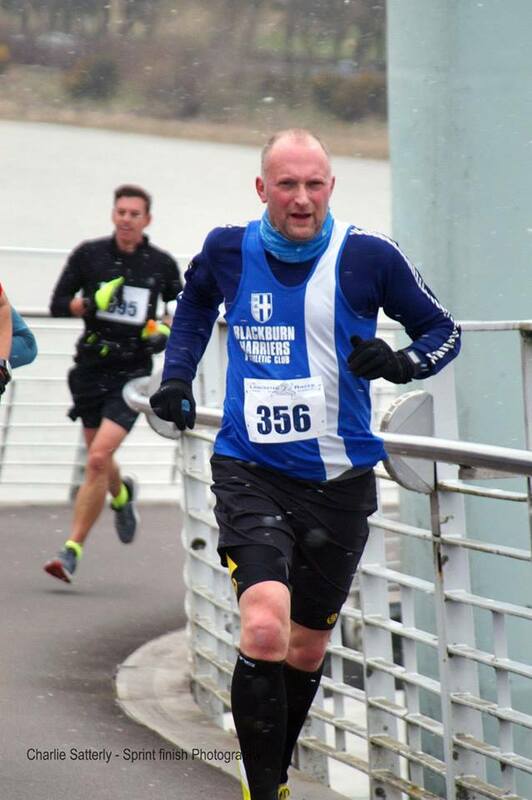 Paul Brindle was the first Blackburn Harrier across the line in 13th place clocking 2hr.09.51 and winning the V45 age group. Jonathan Bridge was next home for the Club in 2hr 18.35 (32nd) and 3rd V50. Winner of the Women’s Race was Joanne Nelson and V45 winner too, with a time of 2hr 19. 40. Carol Reilly (V45) finished in 142nd spot, running a time of 2hr 45.08. A great effort by all the athletes in those conditions. What do you do when you are approaching 60yrs of age? 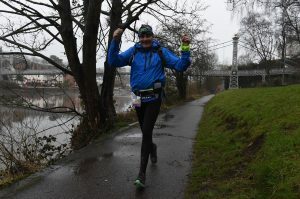 Paul Clarke who will be 60 in September this year decided to celebrate early and take on the Chester Ultra – 52 miles long. 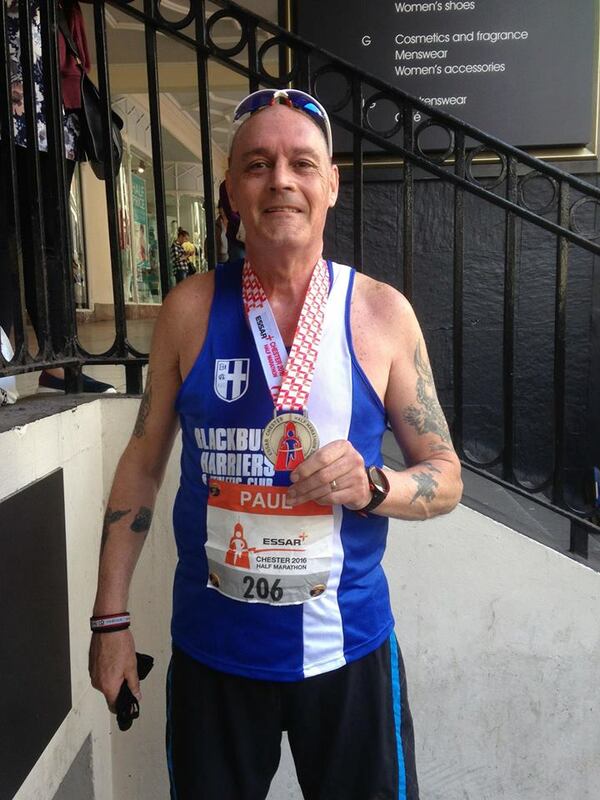 Paul spoke to the Club about why he did and how saying “Its my 60th year so I thought I would do an Ultra. I chose the Chester Ultra 52 miles of a mixture of road canal and mainly trail. It is a great route, the first 26 miles mainly flat and the second half hilly. 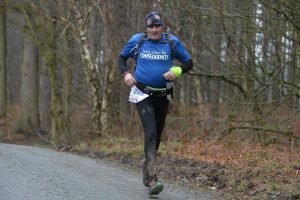 The second half was tough due to at least 23 miles of thick gooey mud which just made it impossible to run for a good length of time , slipping and sliding all over the place. 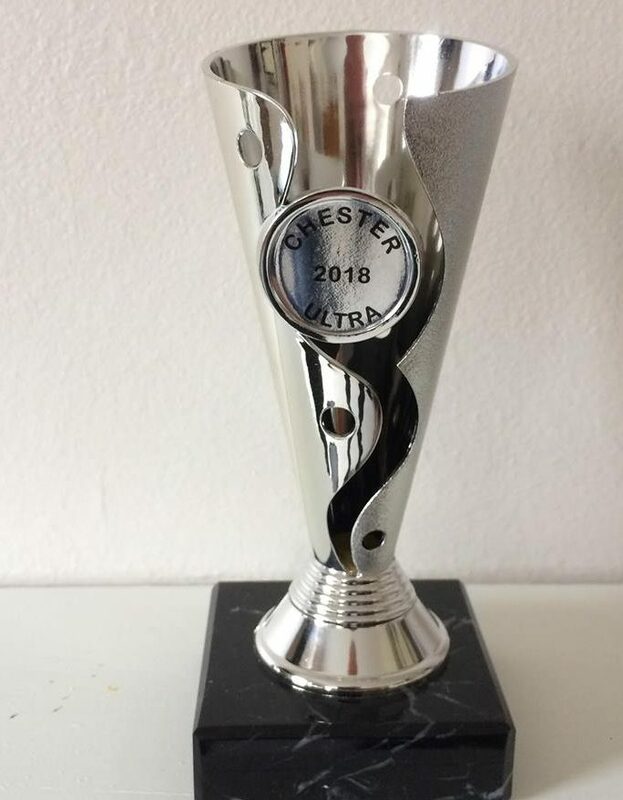 We set off at 6am and I finished just after 7pm position 157 earning a silver trophy which I was over the moon with as expected a bronze with it being my first ultra”.